Just a few short days after suffering her worst defeat in 16 years, Serena Williams avenged that loss with a similarly dominant showing against Simona Halep. 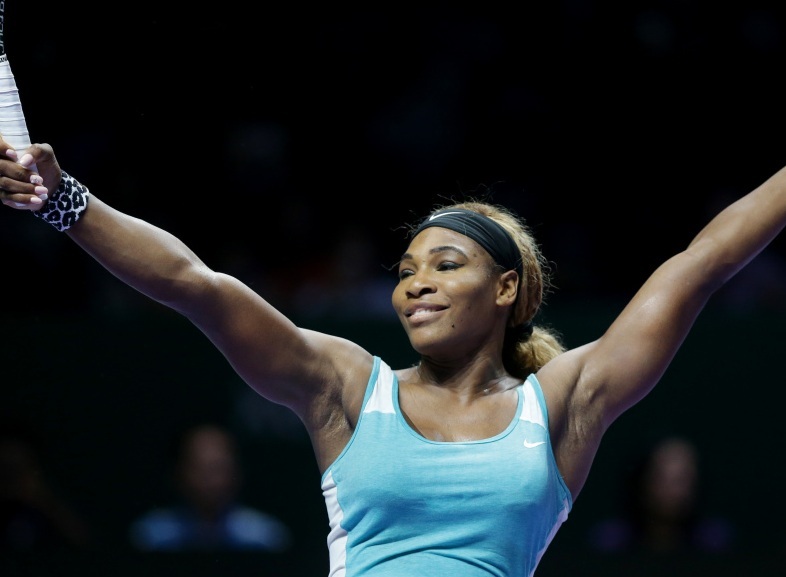 The American lifted the BNP Paribas WTA Finals trophy with a 6-3, 6-0 win over the Romanian – a win that marks her third consecutive WTA year-end championship, and fifth overall. Halep appeared the fresher of the two competitors, as she broke for a 2-1 lead early in the match but was unable to withstand Williams’ returns and only managed to win one more game in the entire match. The American closed out the match in 1 hour and 9 minutes. “She was playing so well at the beginning and I told myself to just relax and once I did that I started playing better and making my shots,” Williams said. With Maria Sharapova’s premature exit from the tournament, Williams was guaranteed a year-ending No. 1 ranking even if she had lost the final. This was a final about revenge, which Williams dished out in high doses on Sunday afternoon.